You’re about to take off on one of the most amazing adventures of your life. A new country offers all kinds of sightseeing, night life, food, festivals and museums – you won’t want to miss a beat. But these things cost money, and budgeting can be hard while you’re busy having fun exploring a new culture. So here are seven things you can do before you leave that’ll help put a few more bucks in your wallet. 1. Book tickets in advance. Most tickets for museums, concerts, trains and other attractions can be bought in advance online. When you buy online, not only do you save money, but you get to skip the long lines of people waiting to get their tickets on-site. When my friend Sarah and I went to Toronto, we bought a City Pass, which included discounted admission to five major attractions, and we got to skip every line. Tip: Print your ticket(s) before you leave (you can’t guarantee that where you’re going will have printers!) and save a copy on your phone, since most places nowadays accept electronic copies. 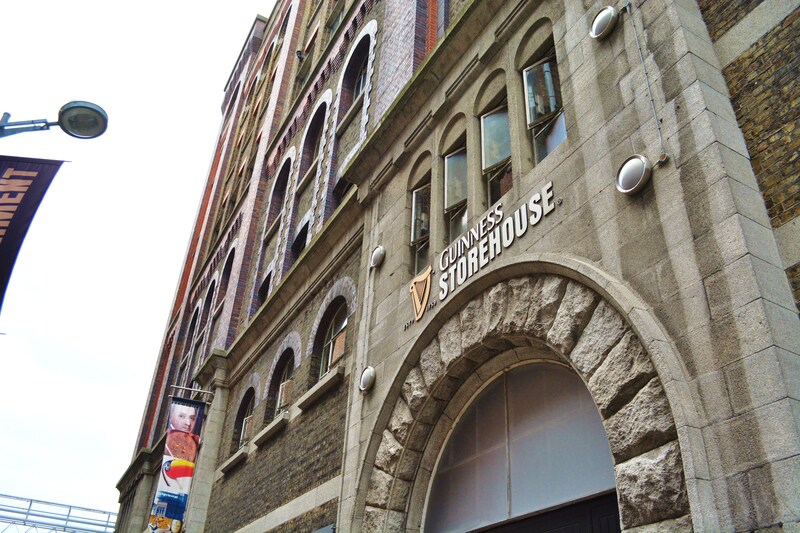 Buying tickets in advance let my friend and me skip all the lines at the Guinness Storehouse in Dublin at get straight to the good stuff. 2. Set up a travel credit card. Have you checked your credit card company’s travel policy? Most companies charge high transfer and foreign transaction fees, on top of already high annual fees and interest rates. Before you leave, set up a credit card that actually rewards you for traveling. The Capital One VentureOne Rewards Card has zero annual fees, transfer fees or foreign transaction fees, and offers 1.25 airline miles for every dollar spent with the card. The Chase Sapphire Preferred® Card has similar rewards and gives you three points for every dollar spent on airfare and hotel accommodations. 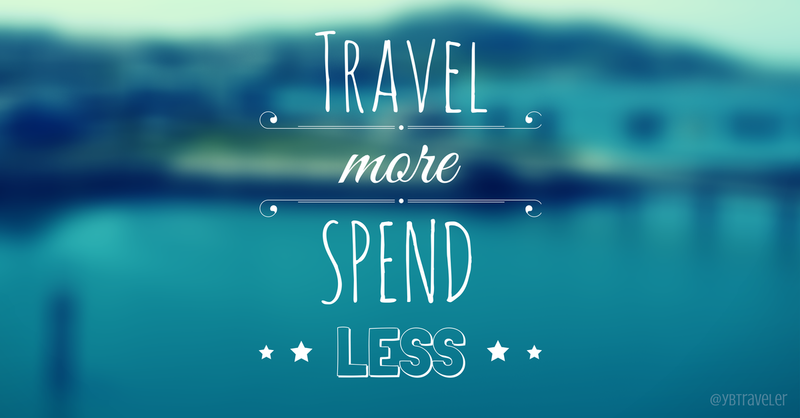 With all those points saved up, you’ll be able to start planning your next trip! Tip: Not sure which card to get? See this list for the best travel cards out there, and compare the benefits of each. 3. Sign up for Uber. Uber is my latest obsession. The app connects you to Uber cab drivers in the area, allowing you to locate cabs near you, select the drivers based on their cars and credentials, get a price estimate, track your ride and even split the fare with other riders. The service is super cheap compared to average cabs and is completely paperless; you sign up with your credit or debit card and then the fare (including the tip, which is pre-calculated) is charged straight to your account. Uber is one of the best ways to travel around a city for cheap. Tip: Visit Uber’s site to see if the service is available in your host city. Uber is a quickly expanding company, but is still working on spreading its network across the globe. 4. Research free things to do around the city. Many museums and galleries, like the Prado Museum in Madrid, offer free admission on certain days of the week. 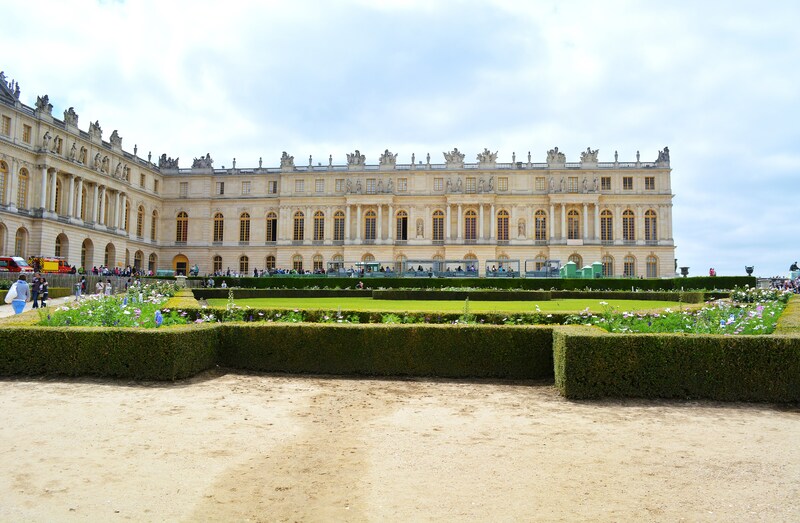 Other places, such as the Palace of Versailles in France, have free admission to certain areas of the grounds. Do some research. When your friends suggest doing something expensive, you can swoop in and suggest doing one of the free things on your list instead. Tip: Student discounts are still a thing, so also look up places around your host city that offer discounts for students. And don’t forget to pack your student ID! Entrance into the Palace of Versailles may cost a hefty sum, but entrance to the gardens is free! 5. Purchase a money order. Avoid conversion and transaction fees by ordering foreign currency in advance. Services such as Travelex make it easy to order online and have the money delivered straight to you or put on your card. Travelex even allows you to load up to nine currencies on one card and has zero fees for international ATM transactions. Tip: Do some digging. Read reviews and articles to make sure the service you are using is legitimate. You can save up to $60 on luggage fees, as well as save time by skipping the luggage return lines, by packing everything into a carry-on. If you’re going on a long trip and stuffing your things into a carry-on is unrealistic, pack a backpack or small duffle bag so you save money on luggage fees for trains and other planes if you make weekend trips. Tip: Save space by avoiding shopping before you go. Get the necessities – toiletries, walking shoes, etc. – but don’t buy new wardrobe. You’ll want to buy so many new clothes, accessories and souvenirs that you’ll be glad you did not spend money on shopping at home. 7. Get maps before you go. Never spend money on a map when you can easily get it free online. If you don’t have an international plan and can’t use internet on your phone while you’re abroad, download an app that features offline maps. OffMaps 2 is only $0.99, and allows you to download maps and access them offline. Ulman City Maps 2Go Pro provides detailed offline maps for free, but is a little pricier at $2.99. Ulman offers a free version of the app as well, but the locations it covers are limited. Tip: While you have online access, you can also use your phone to look up the places you’re going and take screenshots of the maps and directions. You don’t need the Internet to look at a picture. 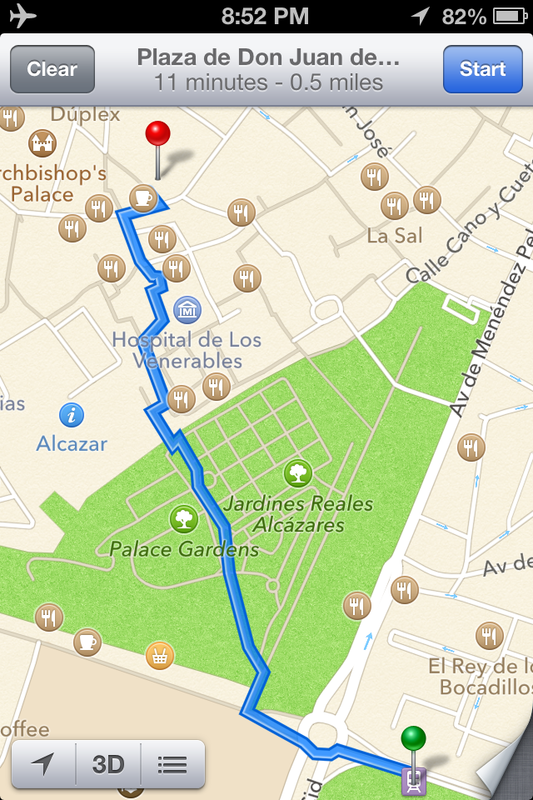 Saving maps on my phone for my weekend trip to Sevilla, Spain during my study abroad in Madrid saved me money and a lot of hassle! Studying abroad is a once-in-a-lifetime experience. Don’t waste time worrying about your funds! If you use these tips to prepare, you’ll be able to travel more and spend less. So get out there and start saving. Do you know of any other pre-trip tips for saving money? Add them below! Next Post I won a trip to Morocco — and I’m leaving in 2 days!